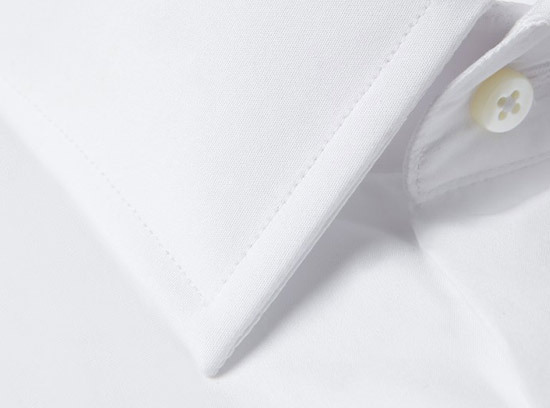 Nothing looks better than a crisp, immaculate, high thread count, perfectly fitting shirt. When you button it up in the morning, you should feel confident, in control, impeccable. But here's the thing. A dress shirt is not any old shirt, there are a lot of details to get right. Despite many nuances, the construction of the dress shirt has never significantly altered, but what makes a shirt great is The Cut & The Quality. It goes by many names, the formal shirt, dress shirt, business shirt. Whether it is a "Classic Fit", "Slim Fit" or "Tailored," the cut is paramount. Even if you get the right size, a bad cut means it will never fit. When you slip into our Slim Fit, you’ll feel like it was made for you. And that’s because it kind of was. Our trim (but never tight) Cut has a straight body from arm-hole to waist. It won’t fit like a dress or billow. We have sculptured the yoke, tailored the chest and provided a slight taper from chest to waist. Our cut will fit comfortably around the armpit & across the upper back, giving you a full range of motion. Tuck it in or let it all hang out. It works with a tie, no tie and also doubles nicely with a tux. A Premium shirt begins with the cloth. We source rich materials with fibers so fine, compact and light to realize fabrics that make every shirt unique in terms of quality & durability. We insist on long fiber double twisted yarns made only from 100% Pure Cotton. The result is a shirt with bright colors, unmatched hand feel that is easy to iron. At Mr Shirts we only use 2-Ply 100% Pure Cotton by COTTONPURE™. These fabrics have a minimum thread count of 80, however most are 100’s or 120’s. Rather lavish for a daily dress shirt. But only a luxurious fabric could complement our single-needle craftsmanship & mother of pearl buttons, to create, what we believe is a shirt without compromise. The Cutaway, the Button Down, the Rounded. There are a thousand collars, but there is only one you need to know: the 3½” Mid-Spread. Technically known as the ‘Prince of Wales’, it’s not too fashion forward or too conservative. It works with every type of suit, tie and no tie at all, you just can't go wrong. But for those that spend their day dominating in the boardroom the Windsor or Wide-Spread is for you. The 6” Cutaway collar allows for a thicker, larger tie knot. Stays (or bones) keep the points defined & curl free. Don't flap about, ensure you collar stays flat on the collarbone at all times. All our shirts come with stays and we also give you two spares - there is a reason for this. You will forget to take them out before laundering & they’ll most likely not come back. 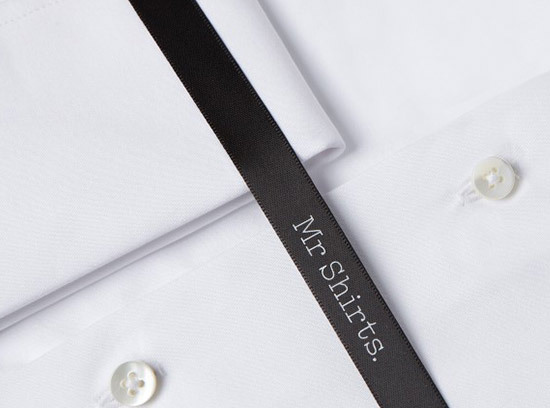 The spares will keep your shirt looking sharper, longer. To button or to link, that is the question. While the Single (barrel) provides versatility, the French will always play an important role in your wardrobe. Our Single is functional, practical and styled with 2 buttons. The French is the hallmark of a dress shirt. Pair with cufflinks for those important meetings then roll up once you finish work. Either way you can’t go wrong. We took a normal shirt and decided to make it better. 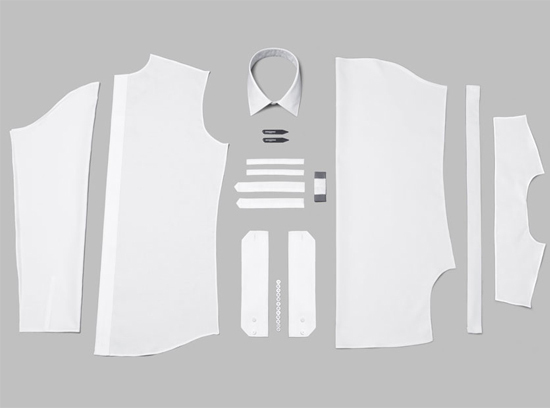 We have fused Vilene® Interlining from Switzerland into all our collars and cuffs. Interlining is an added piece of material sewn in to provide extra structure for a crisper look. Whilst others don’t bother, we know it’s what separates our shirts from the sloppy ones. Don’t go limp, always be sharp. We have done away with plastic and gone one better. We use 3mm thick Mother of Pearl buttons on every shirt. MOP are the hallmark of a premium shirt. With an unmistakable sense of refinement, MOP have been used for centuries famed for their incomparable luster, iridescence and class. There is no comparison and while MOP is a timeless addition to any garment, they are brittle. But that is why we give you two spares with every shirt. At Mr Shirts we don’t do Pleats, Darts or Plackets. By removing the back pleat it creates a trimmer silhouette and a cleaner, modern look. They also happen to be easier to iron. We have also ditched the Darts, those two curved seams in the back of the shirt. That is why we call it a Slim Fit, not a Fitted Blouse. As for the Placket, by removing it, it gives the front of your shirt a seamless look making you ready for any occasion, formal or otherwise. We finish all shirts with Single-Needle tailoring and no less than 18 stitches per inch. Single-Needle is a two-step process that binds the shirt together producing a single visible seam which is stronger, sleeker, cleaner. Each stitch is placed to perfection, slow and steady, with an indulgent 18 to 20 stitches per inch. This distinguished craftsmanship and superb construction requires a skilful touch and results in a premium product with a noticeable reduction in puckering. You are not small, medium or large. You sir, are a gentleman. Know your size. All our shirts fit to true neck size. If you measure 40, buy a 40. We have made an allowance in the collar for the perfect fit. Not too tight, not too lose. You may have heard of the one-finger rule. Our collars are designed to comfortably fit one finger between the collar and your neck. If two fingers fit, the collar's too big.